1. My house is not an obstacle course. My kids put away their work when they’re finished with it. They are not allowed to choose another work until they clean up the first one and put it back on the shelf. This means my floors are clean (of toys, anyway…) and I can walk around my house practically with my eyes closed. 2. I have never stepped on a Lego. Montessori kids love to clean. My Montessori kid especially loves to move the furniture I haven’t cleaned under so she can sweep it up herself. I’m not complaining. I can’t even remember the last time I got to had to cook alone. I constantly have a little sous chef in the helper tower beside me in the kitchen, usually eating the broccoli when she’s supposed to be cutting it up. 5. I am not a butler. There are no bells to ring or commands to yell when Montessori kids want something. That kid is thirsty? She can pour herself a glass of water. And then put the empty cup in the dishwasher. 6. No screaming from behind bars. Am I the only one who thinks cribs look like mini prisons? Montessori kids sleep on floor beds. They don’t need to scream for Mommy when they wake up, because they can get out all by themselves. Instead, they’ll read a few books before running to the door to knock on it and yell, “Come in!” over and over again until you do. 7. I am not a lady’s maid. Not only do I not have to dress a Montessori kid, I AM NOT ALLOWED TO. She has made it clear that she can do it by herself. So I get to sit back and merely comment on the fashion choices of the day while she dresses herself. That may mean that some days most days she’s not wearing any pants… but can you really blame her? 8. I am not an entertainer. My kids are busy. All day. Their works provide them with purpose and teach them concentration and focus like no TV show or battery-operated toy ever can. I don’t have to perform to keep them occupied all day. In fact, as a Montessorian, I’m not supposed to interrupt them when they are concentrating on a work. 9. They think washing toys is the best game ever. Give a Montessori kid some dirty toys and a scrub brush with a soapy basin of water — hours of bliss. Hours. I’m not kidding. You won’t even know what to do with yourself. 10. I know my kids are learning through a scientifically-founded and developmentally-appropriate method and I get to watch them work to reach their highest potentials — and have fun doing it! Is there anything more beautiful than a child who feels like she has a purpose and is proud of what she can accomplish all by herself? I don’t force my kids to do any of the activities mentioned above — they WANT to do them. They INSIST on doing them. I just let them. It’s as easy as that. Can you think of any other perks? That is a great question! I will definitely address it in my upcoming FAQs post — hopefully by the end of this week if I can get my act together! Wonderful post! I’m now a follower. Hello! Enjoyed your post, it’s so true. We do incorporate the same principles and have a wonderful Montessori kindergarten. 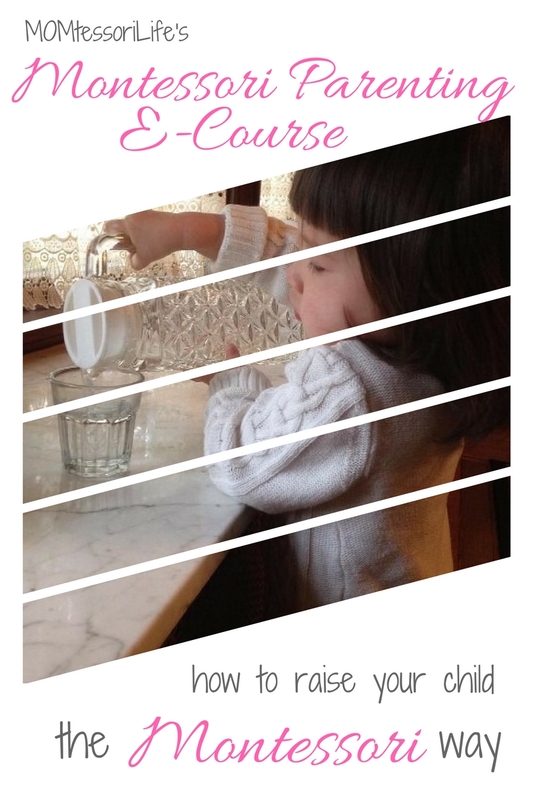 I have started a blog recently and I am planning to photograph some of these activities ( if interested, please check my blog post “Table manners” ) We do love cooking together with my (almost) 3 years old. That’s awesome! I’ll be sure to check it out. Fabulous post! 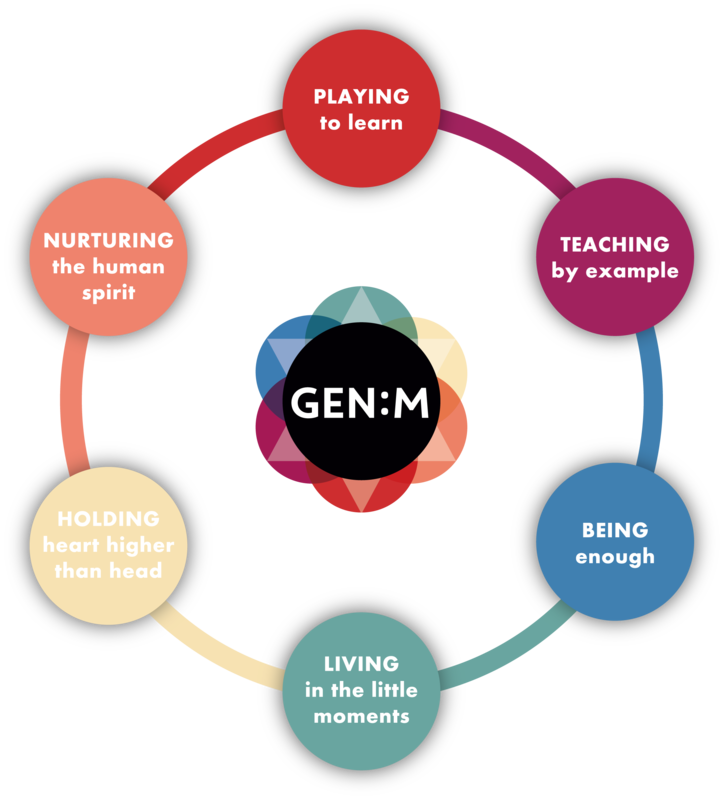 I’m just bumbling along learning how to Montessori as I go with a 1 year old and a 3 year old, but the principles that I’ve included so far have been fantastic for the Littles…and for me! Yes! I really can’t imagine a better way to raise children. My girls are close in age to your children — feel free to scroll through the rest of my blog for some ideas on how to be Montessori at home! Absolutely refreshing to read something like this! Thanks for inspiring. I want to be a montessori mom too! So glad I found your blog and this post! I was up late last night researching this method. I really want to incorporate some of the ideas into our home and parenting. Great post! I’m glad you found it, too! Feel free to search through all of my old posts to learn more! I’m a firm believer that the montessori philosophy should be used in every school! Best learning environment for our son, that’s for sure! Pingback: Preach! 10 Perks of Being a Montessori Mom – Wife & Mommy Esq. All 10 of these perks are wonderful. Re #4… from a very young age onward, I’ve loved the taste of broccoli, too. PS… thanks for liking my blog. I am Rookie Montessori Mom, I thoroughly enjoyed reading this blog. My two year old quickly gets bored with his works or wants me to constantly help him. How do I encourage a longer attention span and more independence? I would put out a lot of practical life transfer works — spooning, tong transfer, dry pouring, etc. The repetition of the work really helps build up focus and attention span. Brilliant! As a daycare worker, I see a vast array of parenting styles. Unfortunately, in my four years as an infant provider, I have yet to come across a parent that implements the awesomeness that is the Montessori approach. Your parenting style is literally everything that I strive for whenever I think of having children of my own.